Yesterday, Google's Motorola division released the Moto G, a $179 full featured smartphone with a screen resolution and size superior to the $650 iPhone 5S, and an all day battery that bests the iPhone and Samsung Galaxy S series as well. This is a fully functional smartphone that is priced below the cost (as in the cost to build!!!) iPhone 5S and Samsung Galaxies (as in all of them!). Needless to say, this threatens to give Google significant market share in the low and mid-tiers, not to mention full vertical integration (the hardware, software, app ecosystem, cloud and services will belong to Google - leaving only the wireless pipes for it to contend with, and I would not sleep there either [Google Fiber in your diet}). Reggie Middleton's Apple Q4 2013 Analysis: RDF In Full Effect As Analysts & Press Go GaGa Over Garbage! 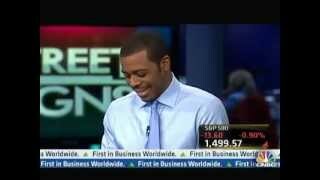 Reggie Middleton Goes For 2nd Win On CNBC Stock Challenge & Causes TROUBLE!!! Bloomberg reports: T-Mobile Sales Beat Analysts’ Estimates as Subscribers Surge. So, how did BoomBustBloggers know this would occur? Well, It started last year with the article "Deadbeat Carrier Creative Destruction In The Ongoing Mobile Computing Wars". You see, US wireless carriers are running one of the biggest Ponzi schemes around. The buy overpriced hardware from manufacturers on contract (see Have We Reached "Peak Premium Smartphone"?) mark up said hardware and then offer it at heavily and usurious financing rate otherwise called a subsidy. The US consumer buys these overpriced devices for a relatively small downpayment and then proceeds to pay through the nose to the carrier a very, very margin rich wireless fee for what amounts to a commodity service of dumb virtual pipes through the airwaves. Not only does the carrier recoup its outlay for the device purchased en masse from the OEM, the carrier also tacks on and collects a very large premium for its post paid wireless services as well. T-Mobile US Inc. (TMUS), the fourth-largest U.S. wireless carrier, reported third-quarter sales that exceeded analysts’ estimates as its cheaper service plans and phone-upgrade strategy attracted customers. Sales rose to $6.69 billion, an increase of 8.7 percent when adjusted to account for T-Mobile’s merger with MetroPCS Communications Inc., according to a statement today from the Bellevue, Washington-based company. Analysts projected $6.58 billion, the average of estimates compiled by Bloomberg. T-Mobile, which combined with MetroPCS in May, added 648,000 new monthly subscribers, topping the 401,000 average estimate and gaining for a second straight quarter. T-Mobile, which merged with MetroPCS six months ago, added 648,000 new monthly subscribers, topping the 401,000 average estimate and gaining for a second straight quarter. T-Mobile has benefited from offers such as zero-down financing on phones and a $10-a-month service that lets customers upgrade their devices more often -- a program that rivals such as Verizon Wireless, AT&T Inc. (T)and Sprint Corp. (S) have now adopted. Umm... Margin Compression!!!??? Remember we called this in the telecomm space a few months ago... Deadbeat Carriers Compete, aka #MarginCompression!!! The net loss was $36 million, following a second-quarter net loss of $16 million. The average phone bill for monthly subscribers shrank about 3 percent to $52.20 from the second quarter as more customers opted for cheaper plans. Analysts had projected $52.86, according to a survey of seven estimates by Bloomberg. ... T-Mobile rose 1.7 percent to $28.83 at 9:42 a.m. in New York. As of yesterday, the shares had climbed 72 percent since May 1, following the MetroPCS merger. Deutsche Telekom rose 0.6 percent to 11.82 euros in Frankfurt. Subscribers, this is directly relevant to both the Apple and the Google valuations. Subscribers, download the Q3 and Q4 2013 valuation reports (click here to subscribe). Note: The next three annual subscriptions (professional or higher) will get the opportunity to purchase their own pair of Google Glass Explorer Edition, through the Glass referral program. Click here to subscribe, and if you want to be referred to purchase your own pair of Glass then email me after payment. The stock initially tanked after the numbers were out thanks to weaker than expected margin guidance. Apple guided to 36.5%-37.5%, which suggests a flat margin despite a new iPhone. On the company's earnings call, it explained why margin was lighter than expected and the stock came roaring back. At last check it was down slightly in after hours trading. Apple's margin will be hit by a combination of factors. It is selling new iPads that cost more to make, new laptops, foreign exchange issues, and most importantly, a $900 million sequential increase in deferred revenue thanks to all the software it is giving away with iOS and Macs. On the earnings call, Gene Munster of Piper Jaffray said the real margin would have been closer to 38.5%, and Apple basically confirmed it. This sent the stock climbing. Apple's margins have been and will be hit harder as I've predicted. This non-sense about the deferred revenue from giving away software and Gene Munster's "real margin" comments are utter nonsense. Apple's reported margin IS ITS "REAL MARGIN"! The reason it is giving away its core software products for free is to compete with the entry and the threat of Microsoft's Surface 2 tablet that comes bundled with a real, the real, office suite - Microsoft Office. This makes it real deal contender in the enterprise, where Office is not on the de facto standard - it is the standard. 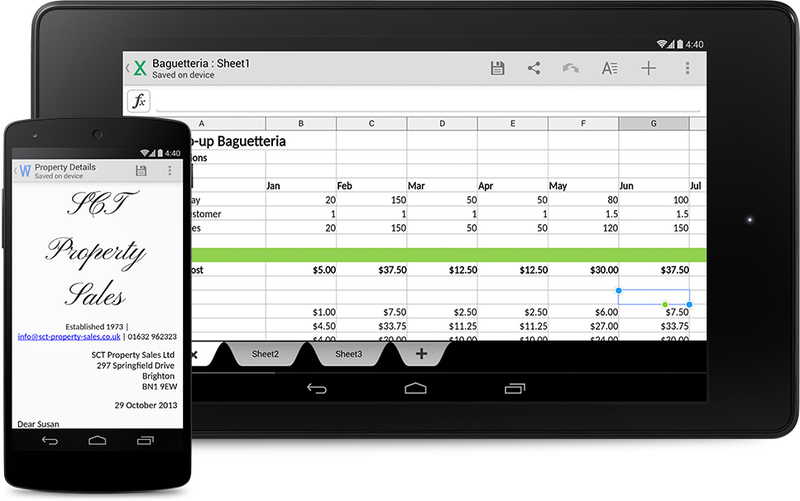 It also has to compete with Google's Android who bought Quick Office and is now giving that office suite for free. For those who don't think that makes a difference, what OS do you think took the iPad from 92% market share in 2010 to 32% market share last quarter? If you did this investment thing to actually make money, who do you think CNBC should have on more regularly??? 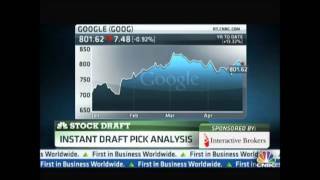 Google acquired Quickoffice back in June 2012. In December 2012, the company released Quickoffice for iPad, making it exclusively available for free to its Apps customers. In April 2013, it followed up with free Android and iPhone versionsfor Apps customers as well. Last month, Google released Quickoffice for free, making it available to all Android and iOS users.